The Viewpad 10S Features 10.1 Inch LED Backlit Capacitive multi-touch TFT widescreen Display with 1024×600 Pixel Resolution powered by NVIDIA Tegra 250 dual core 1GHz Processor with Tegra 2 Ultra-Low Power GPU and has 512MB RAM, runs on Android 2.2 Froyo OS. It comes with 512MB of storage that can be Expandable upto32GB. The Viewpad 10S comes with a 1.3 Megapixel Web Camera and has micro SD Card Reader, USB2.0, HDMI, Wi-Fi, Bluetooth v2.1 with A2DP. It is charged by a standard 3300mAH Li-Polymer Battery which provides 7 hours of usage and weighs 730 gms. Tags:ViewSonic Viewpad 10S, ViewSonic Viewpad 10S features, ViewSonic Viewpad 10S specifications, ViewSonic Viewpad 10S review, ViewSonic Viewpad 10S details, ViewSonic Viewpad 10S availability, ViewSonic Viewpad 10S specs, ViewSonic Viewpad 10S images, ViewSonic Viewpad 10S pics, ViewSonic Viewpad 10S pictures, ViewSonic Viewpad 10S price. 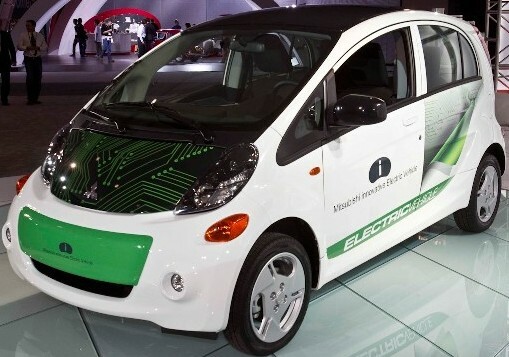 We know what is the future of cars- It's electric. Check this car which is launched in California, U.S. 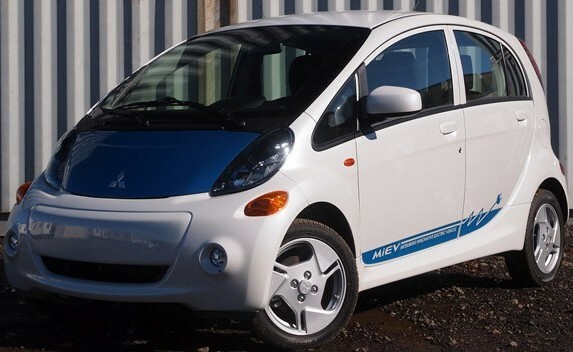 Tags:- 2012 Mitsubishi i pics,2012 Mitsubishi i pics, 2012 Mitsubishi i pictures, 2012 Mitsubishi i images. If you find it difficult to understand certain topics in your concerned streams in engineering. No need to worry any more. You can check these lectures from iit professors of International quality. Now i understand why the MHRD comes with the low priced tablets, the vision is great but miles to go before it become fully successful. This will be helpful to students as well as faculties in various engineering colleges, Technical institutions world wide. If you have any problem by the above links, Check the link below it will give you stream wise links. If you find the above link is congested(busy), You can also search the particular topic in YOUTUBE. 1) just copy the name of the particular topic from the above page and search that in Youtube. Tags: engineering video lectures, e-learning courses from the iits, e-learning courses from the iisc, e-learning engineering courses, aerospace engineering video lectures, aerospace engineering e-learning courses, aerospace engineering, atmospheric science video lectures,automobile engineering video lectures,basic courses(sem 1 and 2) video lectures, biotechnology video lectures, chemical engineering video lectures, chemistry and biochemistry video lectures, civil engineering video lectures,computer science and engineering video lectures,electrical engineering video lectures, electronics & communication engineering video lectures, engineering design video lectures, environmental science video lectures, humanities and social sciences video lectures, management video lectures, mathematics video lectures, mechanical engineering video lectures, metallurgy and material science video lectures, mining engineering video lectures,nanotechnology video lectures, ocean engineering video lectures, physics video lectures,textile engineering video lectures, engineering first year courses,atmospheric science e-learning courses,automobile engineering e-learning courses,basic courses(sem 1 and 2) e-learning courses, biotechnology e-learning courses, chemical engineering e-learning courses, chemistry and biochemistry e-learning courses, civil engineering e-learning courses,computer science and engineering e-learning courses,electrical engineering e-learning courses, electronics & communication engineering e-learning courses, engineering design e-learning courses, environmental science e-learning courses, humanities and social sciences e-learning courses, management e-learning courses, mathematics e-learning courses, mechanical engineering e-learning courses, metallurgy and material science e-learning courses, mining engineering e-learning courses,nanotechnology e-learning courses, ocean engineering e-learning courses, physics e-learning courses,textile engineering e-learning courses, mhrd courses, ministry of hrd courses, engineering study groups, Engineering stream wise course list, AE video lectures, CS video lectures, CSE video lectures, EC video lectures,EE video lectures,ME video lectures,CE video lectures, ECE video lectures. 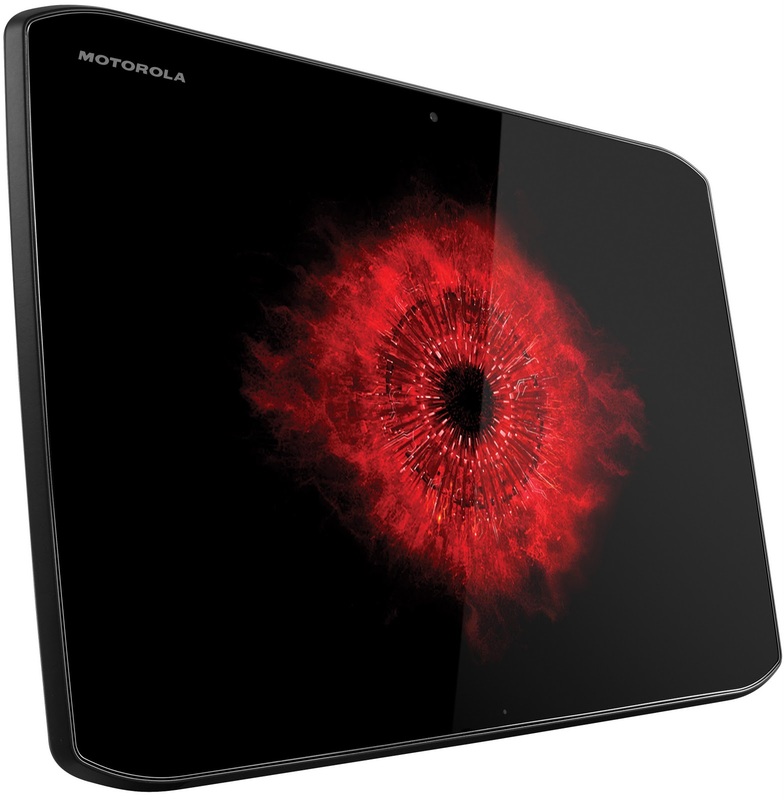 The Motorola Droid Xyboard Tablet comes in two screen sizes- 10.1-inch display and 8.2-inch display. Both of them are water-repellant Corning Gorilla Glass scratch resistant 1280 x 800 IPS displays. The tablets are powered by dual-core 1.2-GHz processor with 1GB RAM, runs on Android 3.2 Honeycomb OS and has an Android 4.0 Ice Cream Sandwich Upgrade later. Other options of Xyboard Tablets includes front and rear facing cameras, WiFi a/b/g/n, HDMI connectivity, infrared port. Available in US via Verizon with two-year LTE service contract. The price tag of Droid Xyboard 10.1 is $530(16GB), $630(32GB), $730(64GB) and for Droid Xyboard 8.2 is $430(16GB), and for $530(32GB). Tags:Motorola Droid Xyboard Tablets, Motorola Droid Xyboard Tablet, Motorola Droid Xyboard Tablet features, Motorola Droid Xyboard Tablet specifications, Motorola Droid Xyboard Tablet review, Motorola Droid Xyboard Tablet details, Motorola Droid Xyboard Tablet availability, Motorola Droid Xyboard Tablet specs, Motorola Droid Xyboard Tablet images, Motorola Droid Xyboard Tablet pics, Motorola Droid Xyboard Tablet pictures, Motorola Droid Xyboard Tablet price. Sony recently introduced new colorful notebook series, named Sony VAIO C Series.The new Sony VAIO C Series notebooks is based on Intel Huron River fresh platform and comes in five shade (color) options with black, white, Pink and neon green and neon orange with a a translucent lid providing a glow effect as shown in the figure. 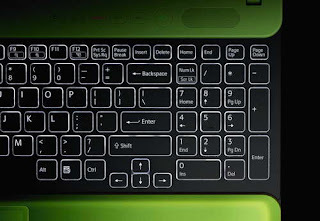 New Sony VAIO C Series Laptops includes two models ie Sony VAIO CA10 and Sony VAIO CB10.Sony VAIO CA10 laptop equips a 14-inch and Sony VAIO CB10 packs a 15.5-inch screen both with LED-backlit display with 1366 x 768 pixel resolution.The new Sony VAIO C Series Laptops comes powered with 2.3GHz Intel Core i5-2410M dual-core processor. All new Sony VAIO C Series Laptops houses Radeon HD 6470M graphics card and could support up to 8GB RAM along with up to a 320GB HDD.Both the C Series Laptops comes pre-installed with Windows 7 Home Premium 64bit OS. 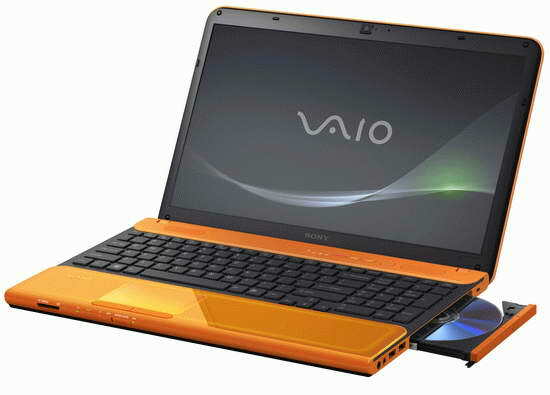 The pre-order for Sony VAIO C Series laptop will starts from 13th March 2011 and the price of new VAIO C Series Laptops from Sony starts at Rs.53,890 INR. 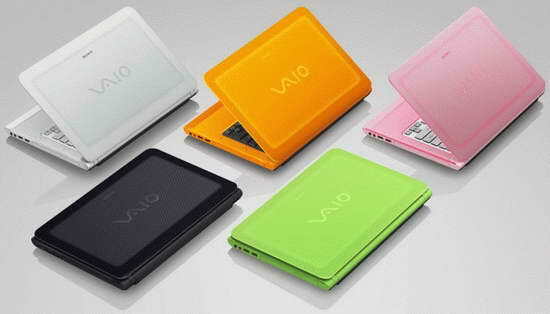 Tags:-Sony VAIO C Series Laptops colors, Sony VAIO C Series Laptops price, Sony VAIO C Series Laptops launch, Sony VAIO C Series Laptops features, Sony VAIO C Series Laptops configuration, Sony VAIO C Series Laptops details, Sony VAIO C Series Laptops specs, Sony VAIO C Series Laptops images, Sony VAIO C Series Laptops shades, Sony VAIO C Series Laptops release, Sony VAIO C Series Laptops launch, Sony VAIO C Series Laptops details, Sony VAIO C Series Laptops review, Sony VAIO C Series Laptops price details, price of Sony VAIO C Series Laptops. 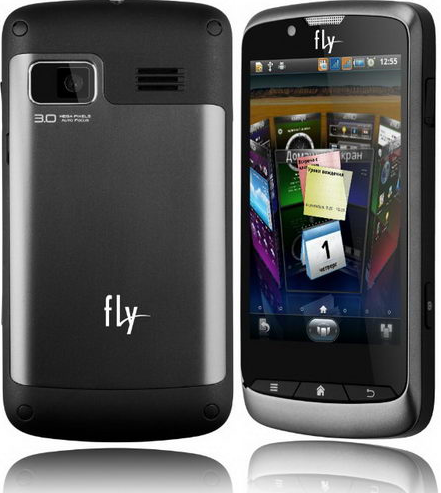 Fly E200, a Dual Sim GSM Mobile Phone features 2.8 inch TFT Full Touchscreen Display with 240 x 320 pixel resolution. 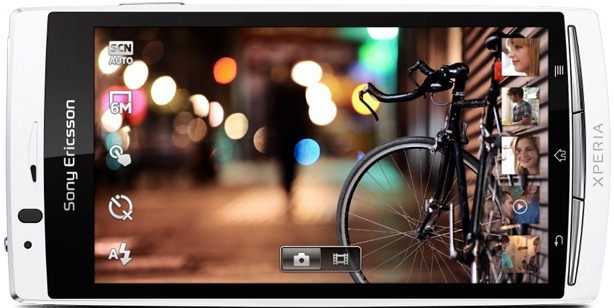 It sports 0.3 MP VGA rear camera with Digital Zoom and has 112 KB internal memory, 8GB external memory micro SD card support. 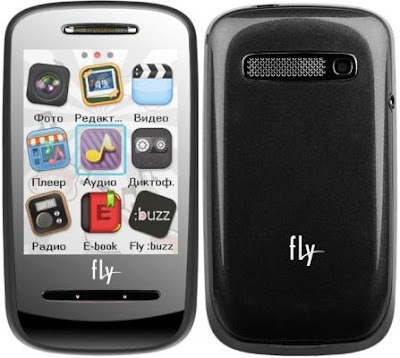 Other features of Fly E200 includes Bluetooth, USB, WAP, Audio/Video Player, FM Radio, 3.5mm audio jack. The Fly E200 weighs 92 gms and has a standard 1000 mAh Li-ion battery which delivers talk time of 3 hrs and standby of 200hrs. 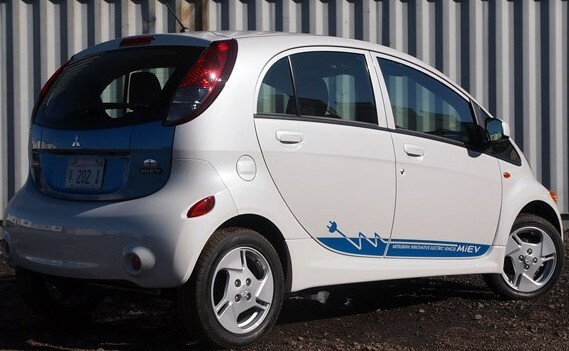 The Price tag of Fly E200 is not known currently. 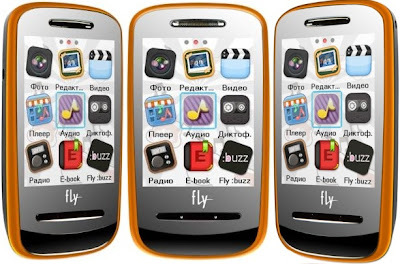 Tags:Fly E200, Fly E200 features, Fly E200 specifications, Fly E200 review, Fly E200 details, Fly E200 availability, Fly E200 specs, Fly E200 images, Fly E200 pics, Fly E200 pictures, Fly E200 price. Dual Sim Mobile Phones Price list in India. Here Mobile Phone are listed in decreasing order of their price. Tags:Dual Sim Mobile Phone Price List, Dual Sim Mobile Phone Indian Price List, Dual Sim Mobile Phone Price List in India, Dual Sim Mobile Price List in India, Dual Sim Mobiles price in India, Dual Sim Mobile Indian price, Mobile Phone Price List, Mobile Phone Price List in India. The LG Xnote Z330 features 13.3-inch screen with 1366 x 768 pixel resolution and boots Windows 7 in less than 10 seconds Via Rapid Start Technology. LG Xnote Z330 ultrabook comes in two different models:: Z330-GE55K and Z330-GE30K and has Intel’s second generation Core processors. Other specs of Xnote Z330 ultrabook includes 1.6GHz Core i5 processor/ 1.7GHz Core i7 processor, 120GB SSD/256GB SSD, 4GB RAM, HD graphics, WiDi wireless display technology, HDMI port, VGA Port, Wireless LAN 802.11 b/g/n, Bluetooth 3.0, MicroSD Card Slot and it comes with a Battery life up to 6 hours. LG Xnote Z330 measures just 14.7mm thickness and weighs just 2.7 pounds (1.21kg). Pricing starts at just above $1500 USD and will go upto $2300 USD for high end ones. Tags:LG Xnote Z330 ultrabook, LG Xnote Z330 ultrabook features, LG Xnote Z330 ultrabook specifications, LG Xnote Z330 ultrabook review, LG Xnote Z330 ultrabook details, LG Xnote Z330 ultrabook availability, LG Xnote Z330 ultrabook specs, LG Xnote Z330 ultrabook images, LG Xnote Z330 ultrabook pics, LG Xnote Z330 ultrabook pictures, LG Xnote Z330 ultrabook price. Ainovo Novo 7 features 7-inch display with 800×480 pixel resolution, powered by 1GHz MIPS processor with 512MB RAM, a Vivante GC860 444MHz GPU, runs on Android 4.0 Ice Cream Sandwich OS. It comes with 4GB of storage which can be expandable upto 16GB via microSD card. Other features of Ainovo Novo 7 includes Wi-Fi support, 2.0MP rear camera and front VGA camera, external 3G support, USB 2.0, HDMI 1.3, microSD slot, can play 1080p videos, battery provides 7 to 8 hours of usage and 30 hrs of standby, exFAT storage format, comes with Spiderman and Total Mayhem games. Available currently in China for $99 USD and in US for $150. 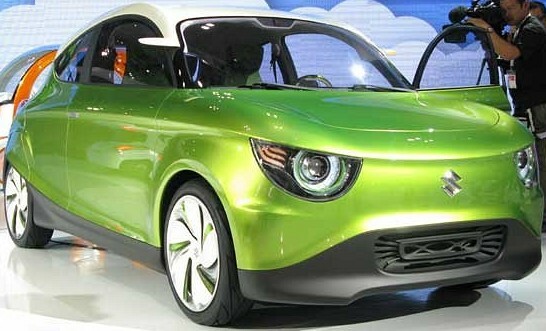 Expected in India Q1 2012 . 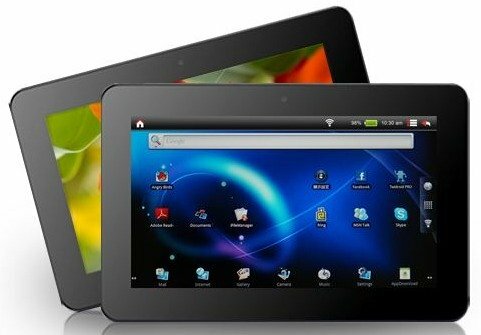 Tags:Ainovo Novo 7 Tablet, Ainovo Novo 7 Tablet features, Ainovo Novo 7 Tablet specifications, Ainovo Novo 7 Tablet review, Ainovo Novo 7 Tablet details, Ainovo Novo 7 Tablet availability, Ainovo Novo 7 Tablet specs, Ainovo Novo 7 Tablet images, Ainovo Novo 7 Tablet pics, Ainovo Novo 7 Tablet pictures, Ainovo Novo 7 Tablet price, Ainovo Novo 7 Tablet Indian availability. The flagship device, Meizu MX comes in two versions – one with a quad core processor and another with a dual core. 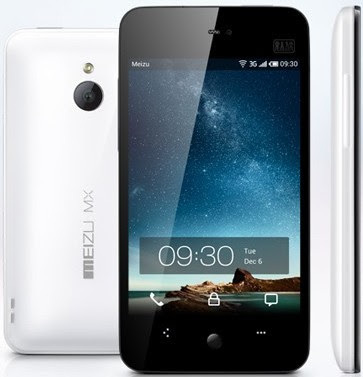 The Meizu MX features 4-inch ASV display with 960×640pixel resolution, powered by 1.4 GHz dual core processor with 1GB RAM, 16GB of internal storage, runs on Android 2.3.5 Flyme OS. 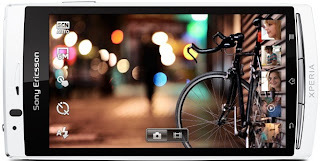 Meizu MX Sports 8MP rear camera capable of 1080p recording and has a 0.3MP front camera. It also has HSPA+ support. The quad core version will come out in late 2012, while the dual core will be available for purchase starting January 1 in China and Hong Kong first with an expected price around $470 USD. Tags:Meizu MX, Meizu MX features, Meizu MX specifications, Meizu MX review, Meizu MX details, Meizu MX availability, Meizu MX specs, Meizu MX images, Meizu MX pics, Meizu MX pictures, Meizu MX imgs, Meizu MX price,Meizu MX Network options, Meizu MX Expansion options, Meizu MX multimedia features, Meizu MX Sensor options, smartphones, Android 2.3.5 Flyme OS smartphones. Micromax Mobile Phones Price list in India. Here Mobile Phone are listed in decreasing order of their price. Tags:Micromax Mobile Phone Price List, Micromax Mobile Phone Indian Price List, Micromax Mobile Phone Price List in India, Micromax Mobile Price List in India, Micromax Mobiles price in India, Micromax Mobile Indian price, Mobile Phone Price List, Mobile Phone Price List in India. 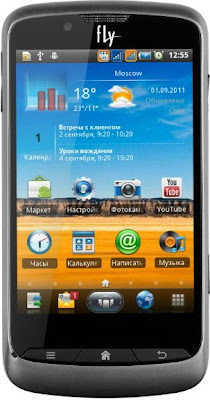 Samsung SCH-W999 features two 3.5 inch Super AMOLED Touchscreen display – one on the inside and one on the outside, powered by 1.2 GHz dual-core Qualcomm MSM8660 processor, runs on Google Android 2.3 Gingerbread OS. 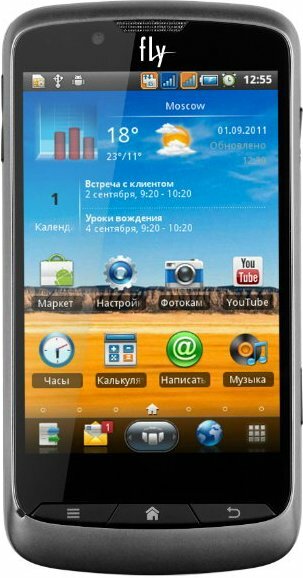 Samsung SCH-W999 sports 5 Megapixel rear Camera, Video/Audio Player, 3G, Bluetooth 3.0 and Dual-SIM support(GSM and CDMA2000), Wi-Fi and WAPI (WLAN Authentication and Privacy Infrastructure). 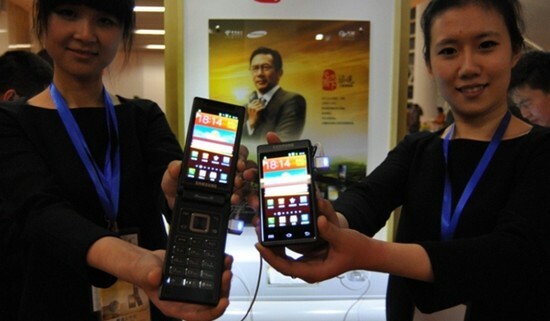 Samsung SCH-W999 is expected to go on sale by next year in China with a price tag around $1570. 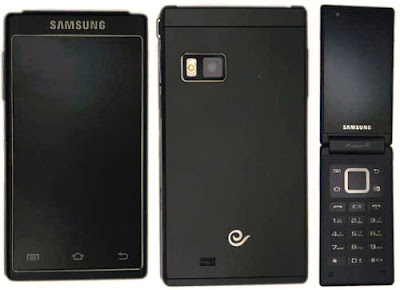 Tags: flip phones, Clamshell phones, Samsung SCH-W999, Samsung SCH-W999 features, Samsung SCH-W999 specifications, Samsung SCH-W999 review, Samsung SCH-W999 details, Samsung SCH-W999 availability, Samsung SCH-W999 specs, Samsung SCH-W999 images, Samsung SCH-W999 pics, Samsung SCH-W999 pictures, Samsung SCH-W999 price. 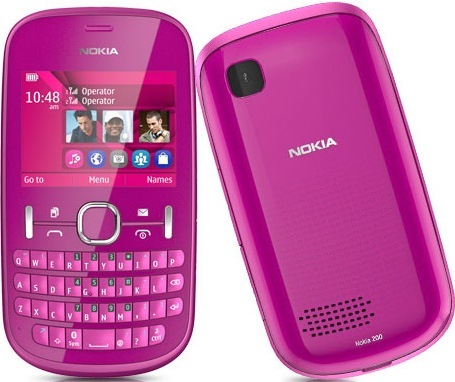 Nokia Asha 300, a Touch and Type phone features 2.4 inch TFT resistive touchscreen display with 240 x 320pixel resolution, powered by 1GHz processor with 128 MB RAM, run on Symbian S40 OS. It comes with a storage of 140 MB which can be expanded upto 32GB using microSD. Nokia Asha 300 sports 5 MP rear camera capable of capturing VGA@30fps. Other features of Asha 300 includes 3G, Bluetooth v2.1 with A2DP, EDR, microUSB v2.0, a music player, FM radio. Color options includes Graphite, Night Shade, Gold, White Silver, Pink, Red. It comes with standard Li-Ion 1110mAh battery which provides Talk time Up to 6 h 54 min (2G) / Up to 4 h 18 min (3G) and has standby of Up to 550 h (2G) / Up to 597 h (3G). Nokia Asha 300 Weighs 85gms and has a dimension of 112.8 x 49.5 x 12.7mm. 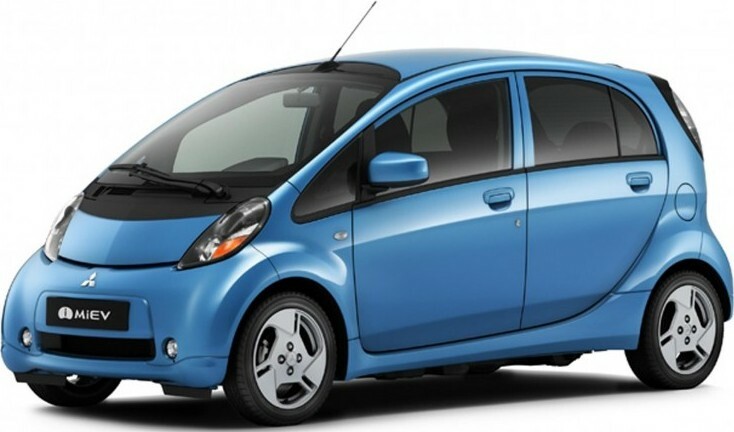 It will be avilable in India from january 2012 with a price tag of Rs 7409. Tags:Nokia Asha 300, Nokia Asha 300 features, Nokia Asha 300 specifications, Nokia Asha 300 review, Nokia Asha 300 details, Nokia Asha 300 availability, Nokia Asha 300 specs, Nokia Asha 300 images, Nokia Asha 300 pics, Nokia Asha 300 pictures, Nokia Asha 300 price. 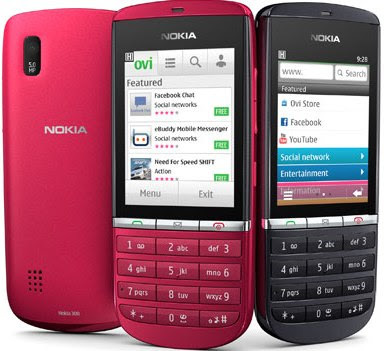 Nokia Asha 200, a Dual SIM QWERTY phone features 2.4-inch TFT display with 320×240 pixel resolution. It sports 2MP rear camera with 4X zoom and runs on Symbian Series 40 OS. It comes with 10 MB internal memory which can be increased upto 32GB. Asha 200 features includes Bluetooth v2.1 with EDR, Loud Speaker (106 phon), stereo FM radio, EDGE/GPRS, USB connector, 3.5 mm audio jack, popular video and audio support, microSD card Slot. Other features of Nokia Asha 200 includes Dedicated SIM manager, Messaging keys, can personalize up to 5 SIM cards with ringtones and wallpapers, one-click access to email, Nokia Messaging, Facebook, Twitter, Email, and Chat Nokia browser, Easy Swap, Nokia Music Unlimited, DRM free Music service with 3 months free subscription. 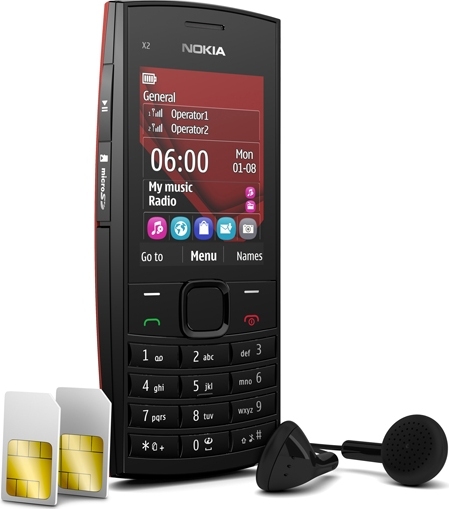 The Nokia Asha 200 comes with a standard 1430 mAh battery which delivers talk time up to 7 hours and 37 days on standby. It is 14.0 thick and weighs 105gms. 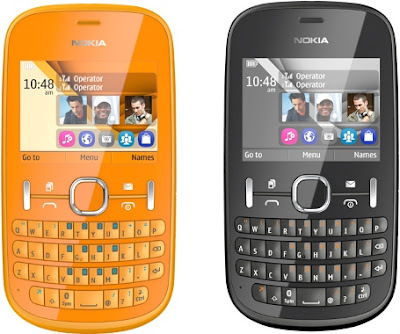 Nokia Asha 200 color options include-black, pink, white, green, orange and is priced at Rs. 4759 in India. Tags:Nokia Asha 200, Nokia Asha 200 features, Nokia Asha 200 specifications, Nokia Asha 200 review, Nokia Asha 200 details, Nokia Asha 200 availability, Nokia Asha 200 specs, Nokia Asha 200 images, Nokia Asha 200 pics, Nokia Asha 200 pictures, Nokia Asha 200 price. Android Mobile Phones Price list in India. Here Mobile Phone are listed in decreasing order of their price. Tags:Android Mobile Phone Price List, Android Mobile Phone Indian Price List, Android Mobile Phone Price List in India, Android Mobile Price List in India, Android Mobiles price in India, Android Mobile Indian price, Mobile Phone Price List, Mobile Phone Price List in India. The 2011 Tokyo Motor Show Unveiled Leaf Nismo concept, which has a full sports bodykit with white paintwork and blue LED under-body lighting, 18-inch black alloy wheels. 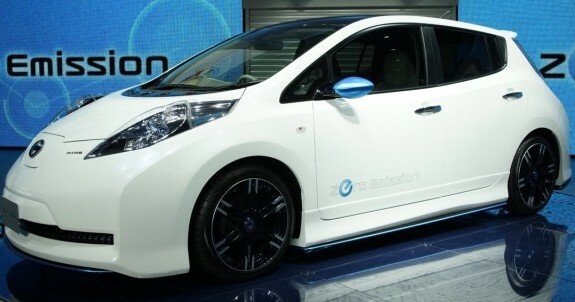 The Nissan Leaf Nismo is powered by front mounted electric drive motor that outputs 80KW @ max 107HP. The Nissan Leaf Nismo weighs 2,068 pounds and has instant supply of full torque (280Nm / 207 lb-ft), 0-100kph in less than 7 seconds, top speed of 145 kph (90 mph). There’s no official word yet on launch schedule, cost or more specification. 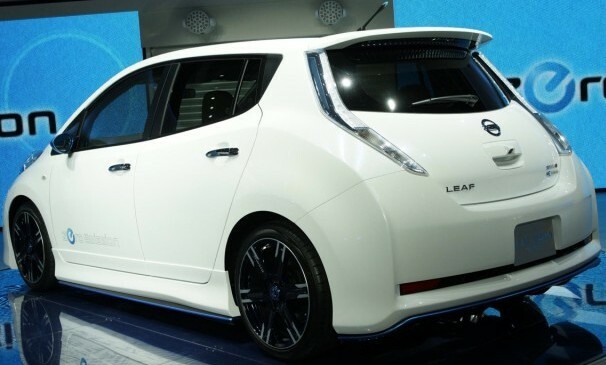 Tags:- Nissan Leaf Nismo details, Nissan Leaf Nismo features, Nissan Leaf Nismo specs, Nissan Leaf Nismo launch, Nissan Leaf Nismo mileage, Nissan Leaf Nismo india price, Nissan Leaf Nismo india details, Nissan Leaf Nismo india varients price, Nissan Leaf Nismo variants,Nissan Leaf Nismo pics, Nissan Leaf Nismo pictures, Nissan Leaf Nismo images, Nissan Leaf Nismo trim levels, 2011 Tokyo Motor Show, Electric car. In the ongoing Tokyo motor show 2011 Suzuki unveiled Suzuki Regina, a compact city car and a three-door, four seater hatchback which is 11.6 feet long, 5.3 wide and 4.7 feet high. The Regina is s extremely light weighing just 1,609lb (730kg) using a steel structure. The Suzuki Regina comes with 800cc turbo petrol engine following follows Japanese Kei-class standard and provides continuously variable transmission driving the front wheels. 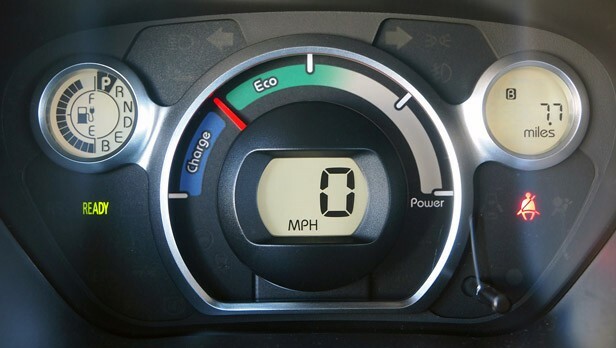 The Suzuki Regina has a stunning mileage of 32.2 Kmpl and has a low 70g/km CO2 emission. 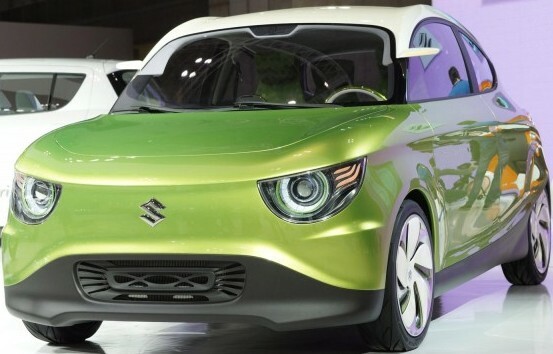 Suzuki doesn't revealed anything about the production for any territory yet, but we expect they will launch this in market soon. 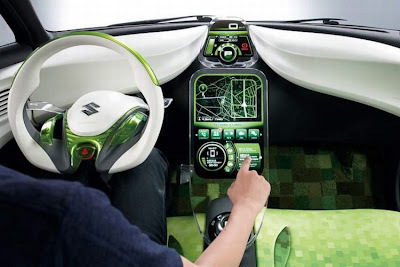 Tags:- Suzuki Regina details, Suzuki Regina features, Suzuki Regina specs, Suzuki Regina launch, Suzuki Regina mileage, Suzuki Regina india price, Suzuki Regina india details, Suzuki Regina india varients price, Suzuki Regina variants,Suzuki Regina pics, Suzuki Regina pictures, Suzuki Regina images, Suzuki Regina trim levels, Tokyo motor show 2011,city car, light weight car, traffic friendly car. Nokia X2-02, a Dual Sim Phone features 2.2 inch QVGA LCD Display with 240×320pixel resolution. The storage can be expandable Up to 32GB using Micro SD Card. It sports 2 megapixel rear camera. The X2-02 runs the new facelifted version of Series 40. Other features of Nokia X2-02 includes FM Radio, Bluetooth 2.1, EDGE, 3.5mm audio jack, Micro USB connector, Dedicated Music Keys, a 2.5G device. 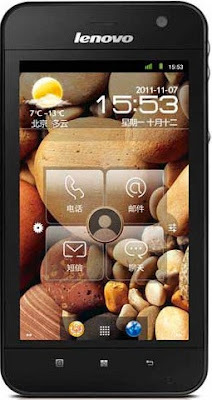 It comes with 1020mAh Li-Ion battery delivering 9.7 hours talktime and 18.5 days standby. The X2-02 weighs 93gms and measures 113 x 50 x 15mm. Has 5 color options - Ocean Blue, Orange, Bright Red, Violet and Dark Silver. 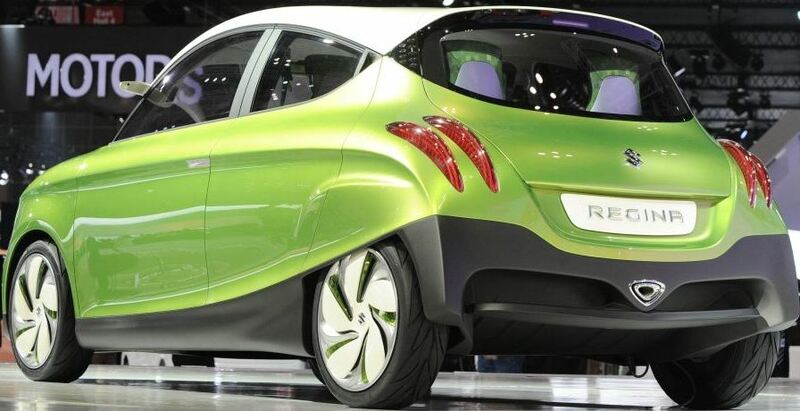 It will be available by year end with a price tag around Rs.4000 INR. Tags:Nokia X2-02, Nokia X2-02 features, Nokia X2-02 specifications, Nokia X2-02 review, Nokia X2-02 details, Nokia X2-02 availability, Nokia X2-02 specs, Nokia X2-02 images, Nokia X2-02 pics, Nokia X2-02 pictures, Nokia X2-02 price, Dual sim phone. 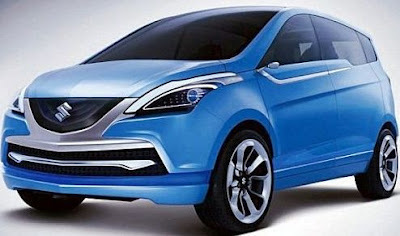 At 2012 Indian Auto Expo this new avatar from maruti Suzuki, the MPV Maruti Suzuki Ertiga. 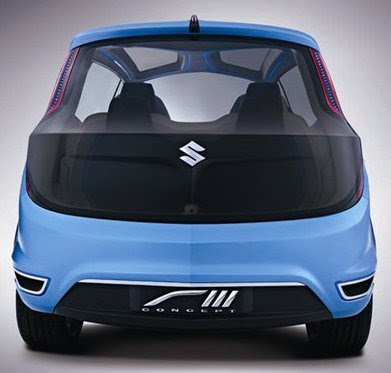 It comes in petrol and diesel engine variants and has flexi-seating capacity to accommodate 5+2 people. Maruti Suzuki Ertiga Petrol will be powered by a 1.4 Liter K-series 1373cc VVT engine which delivers peak power of 95 Bhp and peak torque of 130 Nm. Maruti Suzuki Ertiga diesel will be powered by 1.3 Liter Fiat multijet DDiS Diesel Super Turbo engine which delivers peak power of 90Bhp and peak torque of 200Nm. Ertiga is offered in six trim levels (LXi, VXi, ZXi(Petrol) & LDi, VDi, ZDi (Diesel) and seven colours: Serene Blue, Ecru Beige, Firebrick Red, Granite Grey, Dusky Brown, Superior White, Silky Silver. Maruti Suzuki Ertiga comes with an Ex-showroom(New Delhi) price of Ertiga LXi=5.89 Lakhs, Ertiga Vxi =6.60 Lakhs, Ertiga Zxi=7.30 Lakhs and for Ertiga LDi =7.30 Lakhs, Ertiga VDi =7.90 Lakhs, Ertiga ZDi =8.54 Lakhs. Tags:- Maruti Suzuki Ertiga details, Maruti Suzuki Ertiga features, Maruti Suzuki Ertiga specs, Maruti Suzuki Ertiga launch, Maruti Suzuki Ertiga mileage, 2012 Indian Auto Expo, Maruti Suzuki Ertiga india price, Maruti Suzuki Ertiga india details, Maruti Suzuki Ertiga india varients price, Maruti Suzuki Ertiga variants,Maruti Suzuki Ertiga pics, Maruti Suzuki Ertiga pictures, Maruti Suzuki Ertiga images, Maruti Suzuki Ertiga trim levels. 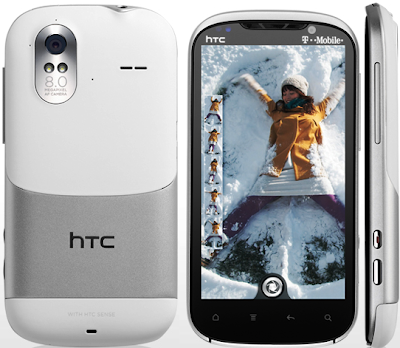 HTC Amaze features 4.3-inch qHD display, powered by 1.5 GHz dual core processor with 1GB RAM, runs on Android 2.3 Gingerbread OS (Ice Cream Sandwich update soon). It comes with 16GB storage wich can be expandable upto 32GB. HTC Amaze 4G sports 8.0MP rear camera that captures 1080p HD videos with dual-LED flash and also has 2MP front camera. Other features includes 4G connectivity (HSPA+ 42Mbps), 3G connectivity, NFC chip, SRS sound enhancement, Wi-Fi 802.11 a/b/g/n, DLNA, Wi-Fi hotspot, Bluetooth v3.0 with A2DP, EDR, microUSB (MHL) v2.0. 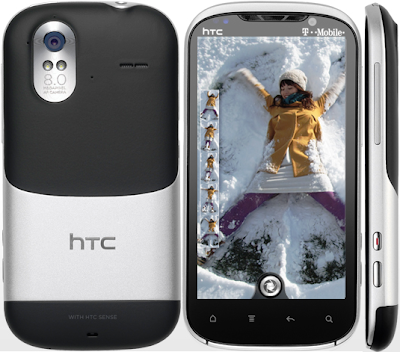 Rear camera features on the HTC amaze 4G includes SmartShot™, BurstShot™, SweepShot™, ClearShot™ HDR, Perfect Pics™. It is powered by Standard Li-Ion 1730 mAh battery and weighs 172.9 gms. 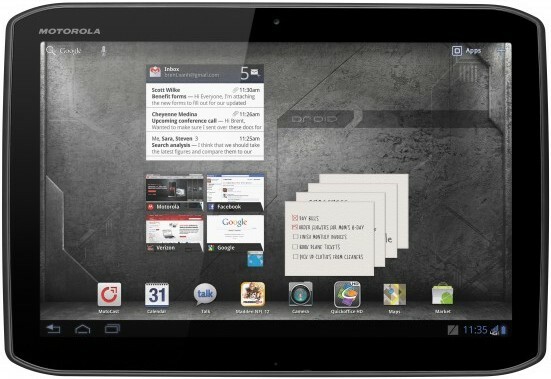 Currently available in US and in canada on Dec 2 2011 for $569 outright or $249 on the WINDTab +. Tags:HTC Amaze, HTC Amaze features, HTC Amaze specifications, HTC Amaze review, HTC Amaze details, Lenovo LePhone S2 availability, HTC Amaze specs, HTC Amaze images, Lenovo LePhone S2 pics, HTC Amaze pictures, HTC Amaze imgs, HTC Amaze price,HTC Amaze Network options, HTC Amaze Expansion options, HTC Amaze multimedia features, HTC Amaze Sensor options, HTC Amaze 4G. Lenovo LePad S2007 features 7 inch IPS Touchscreen with 1280×800 Pixel resolution Display, powered by 1.5 GHz Dual Core processor with 1GB RAM, runs on Google Android 3.2 Honeycomb OS. 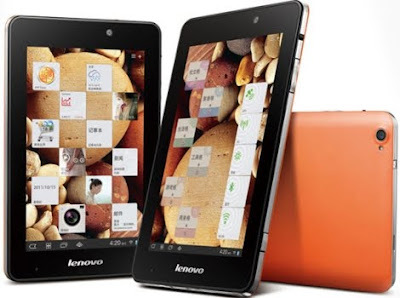 Lenovo LePad S2007 Tablet sports 8MP rear camera and has 1.3MP Front camera. Other features includes Bluetooth, dual-mode 3G for Skype-like features, 3780 mAh battery provides 8 hours on WiFi. 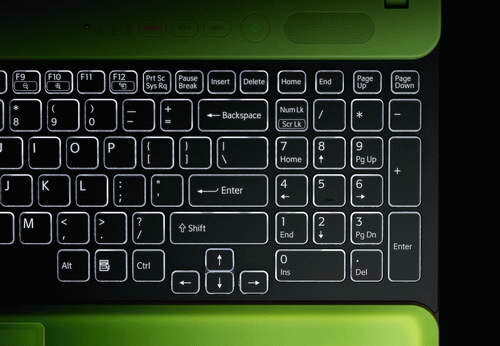 The LePad S2007 Weighs just 360gms, no information about the price and availability. Tags:Lenovo LePad S2007, Lenovo LePad S2007 features, Lenovo LePad S2007 specifications, Lenovo LePad S2007 review, Lenovo LePad S2007 details, Lenovo LePad S2007 availability, Lenovo LePad S2007 specs, Lenovo LePad S2007 images, Lenovo LePad S2007 pics, Lenovo LePad S2007 pictures, Lenovo LePad S2007 imgs, Lenovo LePad S2007 price,Lenovo LePad S2007 Network options, Lenovo LePad S2007 Expansion options, Lenovo LePad S2007 multimedia features, Lenovo LePad S2007 Sensor options. Lenovo LePad S2005 features 5 inch 480 LTPS with 800X480 pixel resolution display having 178-degree viewing angle, powered by 1.2 GHz Dual Core Qualcomm Processor with 1GB RAM and runs on Google Android 2.3.5 Gingerbread OS. Lenovo LePad S2005 sports 5 megapixel rear camera and has 1.3 MP front camera. Other features includes HSPA+ radio, 1080p HD videos, Micro USB, Micro HDMI Port, Wi-Fi and it has a standard 1680 mAh Battery. 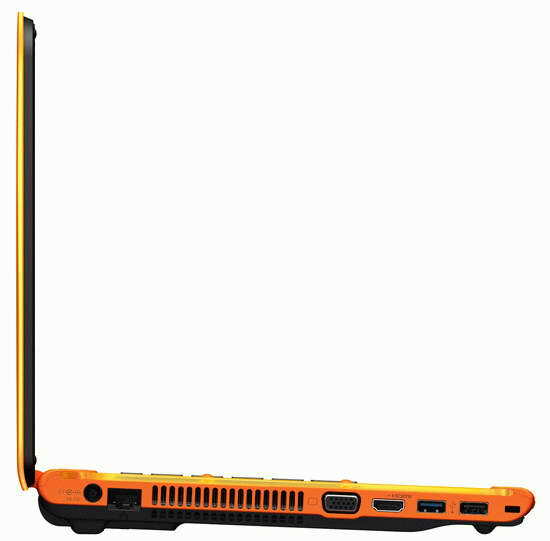 The LePad S2005 weighs 198 grams and is available currently in China via China Unicom network. Currently no information about price. Tags:Lenovo LePad S2005, Lenovo LePad S2005 features, Lenovo LePad S2005 specifications, Lenovo LePad S2005 review, Lenovo LePad S2005 details, Lenovo LePad S2005 availability, Lenovo LePad S2005 specs, Lenovo LePad S2005 images, Lenovo LePad S2005 pics, Lenovo LePad S2005 pictures, Lenovo LePad S2005 imgs, Lenovo LePad S2005 price,Lenovo LePad S2005 Network options, Lenovo LePad S2005 Expansion options, Lenovo LePad S2005 multimedia features, Lenovo LePad S2005 Sensor options, tabletphones, Lenovo tabletphones, IdeaTad S2005.